Increasing the Gross Domestic Product (GDP) of a country is seen as a growth indicator, but this growth often comes at the cost of ecological loss which is not accounted for while calculating GDP. This has to change. It is time India started calculating monetary value of ecological services. This was the underlying theme of today’s session on “Measuring the economics of food and agricultural Ecosystems” at the ongoing 3rd National Dialogue on Himalayan Ecology in Chandigarh. 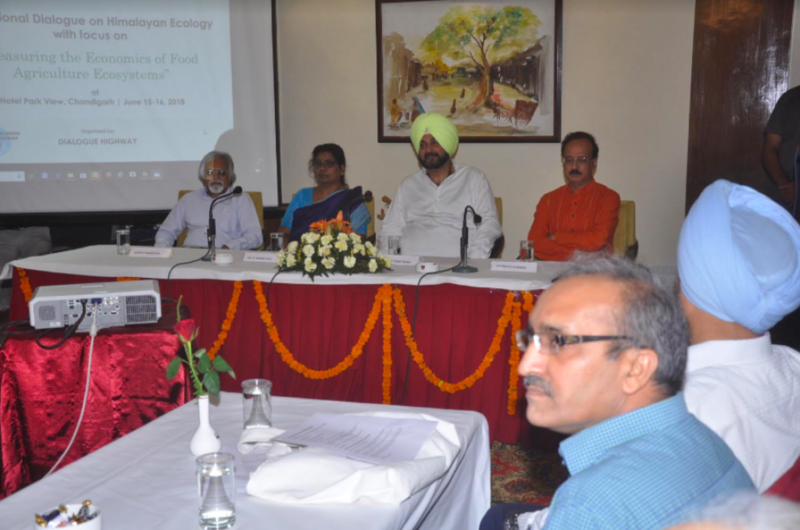 “The more you destroy nature, the higher does the GDP grow,” says Devinder Sharma, a food and trade policy analyst, during the inaugural session of the conference, where experts have converged to talk about importance of calculating the monetary value of ecological services. To calculate these values, experts feel, we need to start documenting all the services provided by various ecosystems within the region. “But currently, estimates are being done in small patches, says L Venkatachalam, professor at Madras Institute of Development studies (MIDS), Chennai, during one of the technical sessions. 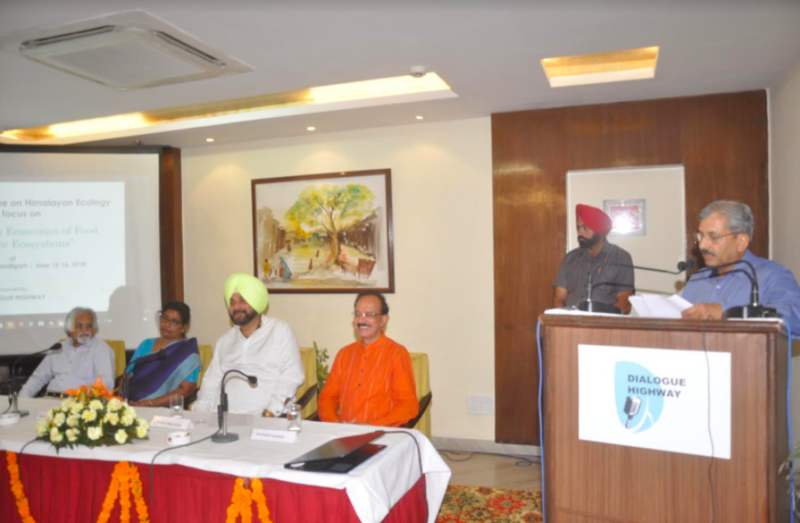 “As a model, Dehradun has already put in place a system to account for ecosystem services. We also calculate Gross Environment Product (GEP) along with the accounting of ecosystem services,” says Manoj Pant, official from the Department of Planning, Dehradun. “Over the past 17 years, the contribution of primary sector to the state’s GDP has reduced by 20 per cent. This is a huge loss. For example, it has been estimated that the forest sector contributed 1.59 per cent to Uttarakhand’s GSDP, but this is not the true value of forest cover of Uttarakhand. Hence, we need natural resource accounting to find the true value of ecosystems, including the services they provide.," concludes Pant.